“We want you to take this training very seriously,” utters Bruce Willis’ character in The Bombing trailer, which has just graced the Internet. The film will arrive on DVD and Digital on 29th October, and also stars Adrien Brody. It is set World War II and focusses upon five Chinese people who fight their way through Japanese air attacks to protect a military machine. The Bombing is known as Air Strike in other territories, but the UK market will get the different title when it releases at the end of the month on the home formats. According to some sources, it is the 10th-most expensive non-English-language film by production cost. The film’s Wikipedia page states that it cost a staggering $65 million to make. 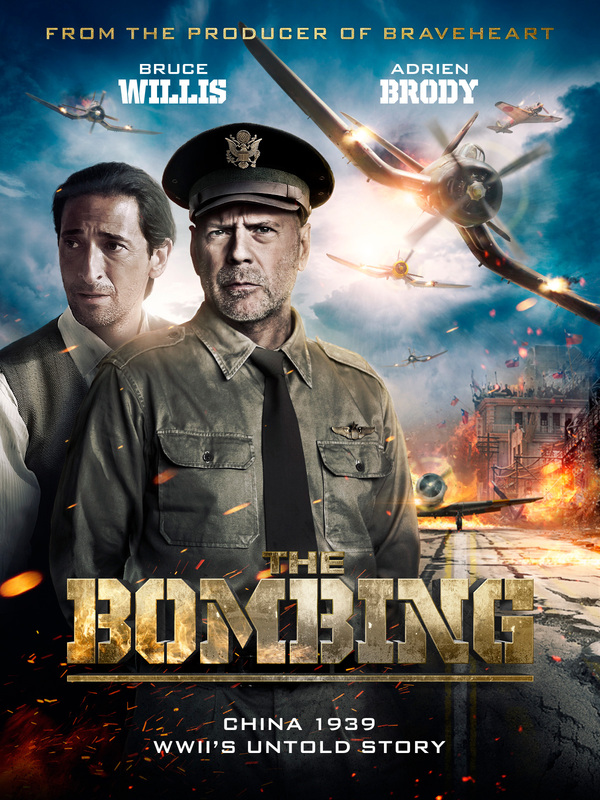 You can take a look at The Bombing trailer below. The film is available from Amazon and all other favourable online outlets. You can pick it up when it hits on both digital and DVD on 29th October. We’d love to hear your thoughts on The Bombing trailer on our socials.